We always get invited to the BEST Super Bowl party. 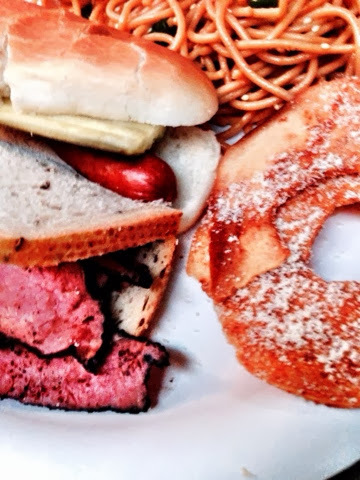 The reason I love it so much is because they always provide food from the host city cuisine. This year was New York, so the theme was New York/New Jersey. I was asked to bring a dessert. New York cheesecake just seemed too easy, so I decided to try something else. 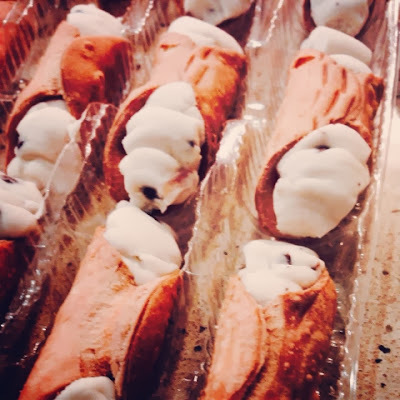 Someone suggested cannolis to me (you know....Jersey...Italian...it works, right? ), but I figured that would be too hard. BUT all I really needed was to be pointed in the right direction. My younger brother is currently a student at BYU in Provo, UT. 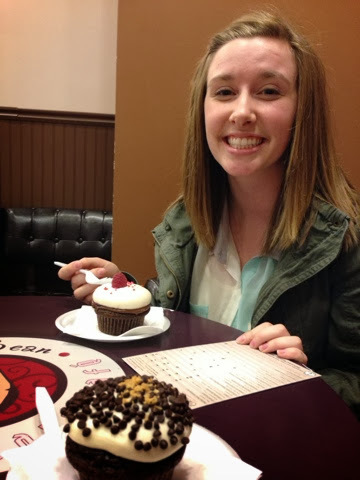 Last week he sent me this photo of his date to The Cocoa Bean Cupcake Cafe. What a great idea for a fun date! My brother is a smart kid. 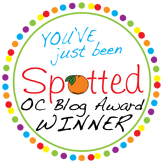 I wish more of my dates ended up in cupcake cafes, but really there aren't very many places to do that in Orange County. It took me several weeks of walking by Baking Betty's cookies at Downtown Disney before I finally stopped to see what they were all about. Baking Betty's bakes their cookies locally and has two kiosks in Orange County (the one is at Fashion Island). My mom and I split a cookie (since they were $4 each....yikes!). We picked the Cookies & Cream cookie: chocolate chip base cookie with Oreos, semi-sweet chocolate chips, and white chocolate chips. The cookie was pretty good, but not something I'd pay $4 again for. You can buy their cookies online. A baker's dozen sells for $36. 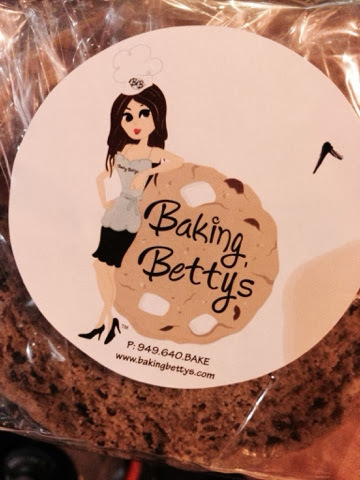 Have you tried Baking Betty's cookies yet? My good friend Jessett has three beautiful daughters. She is currently pregnant with her fourth baby and she's having a BOY! Their family couldn't be more excited! 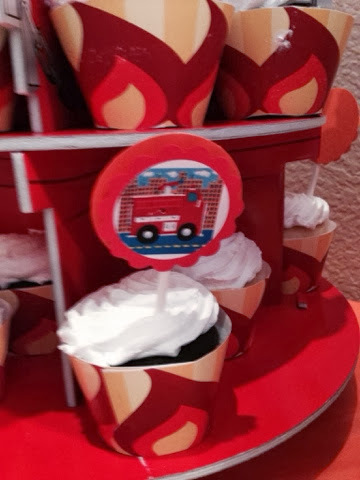 Jessett's husband is a firefighter, so of course the baby shower was a fireman-themed one. I loved the decorations and, of course, couldn't resist eating a fire-themed cupcake. 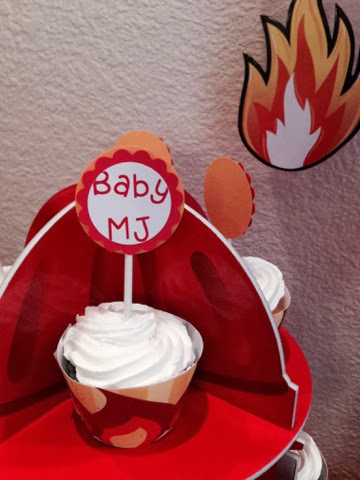 Baby MJ is going to be so loved and I can't wait to meet him! I'm the luckiest girl in the world. I love my boys so much! 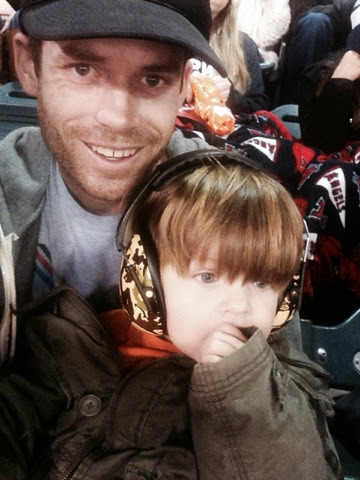 Last week we took Desmond to see Monster Jam at Angel Stadium. He loved it, but he was so intense in watching. Ask him what a monster truck says and he goes "vroom, vroooommmm." Boys and their cars, trucks, trains, tractors, and airplanes. I just wanted to devote my Valentine's Day post to my family. I have the best husband and baby boy ever. I thank God every day for my good fortune. Hope everyone has a great Valentine's Day and spends it with the ones they love. Live in Orange County and are looking for a delicious Valentine's Day gift? You're in luck! 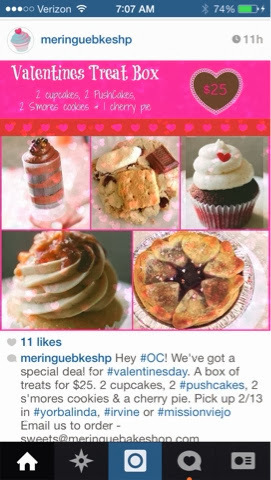 Meringue Bake Shop is offering a special deal for a Valentine's Treat Box. For $25 you get two cupcakes, two Push Cakes, two s'mores cookies, and a cherry pie! 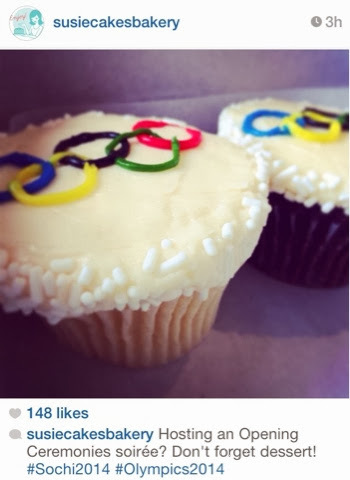 You can email sweets@meringuebakeshop.com to place your order. 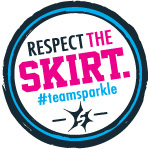 Orders must be picked up 2/13 in Yorba Linda, Mission Viejo, or Irvine. I hope my husband is taking note! My love of Thai food started about five years ago. I grew up thinking it was gross, until I actually tried it and I fell in love. I made my husband and I eat Thai food at least once a week. I couldn't get enough! So does Thai food transfer to cupcakes? 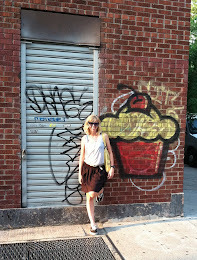 Cupcake Project has a recipe for Intensely Thai Cupcakes. 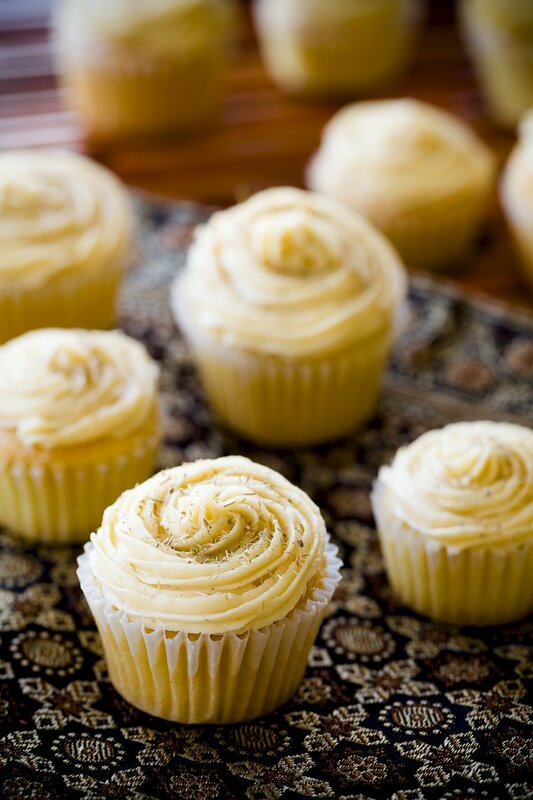 These cupcakes are made with coconut, lemongrass, and kaffir lime flavors in the cake and fish sauce caramel buttercream frosting. Sounds intriguing & interesting. What do you think? 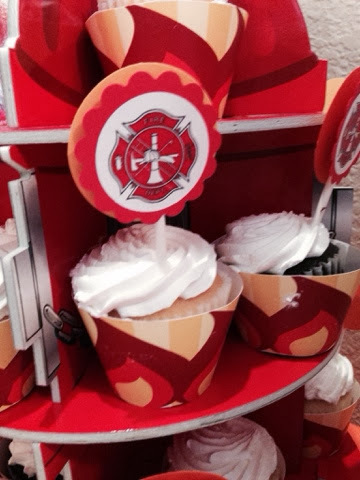 Thai cupcakes hit or miss?